Note re possible duplicate: I had already commented that I can and do skip many reviews. However 'pressing skip' can't be the complete answer to 'what should a conscientious reviewer do in situation XYZ' - that presumably just bounces the review along until someone less conscientious presses a button at random. I'm asking what is ultimately the most helpful response in this situation by a careful reviewer. 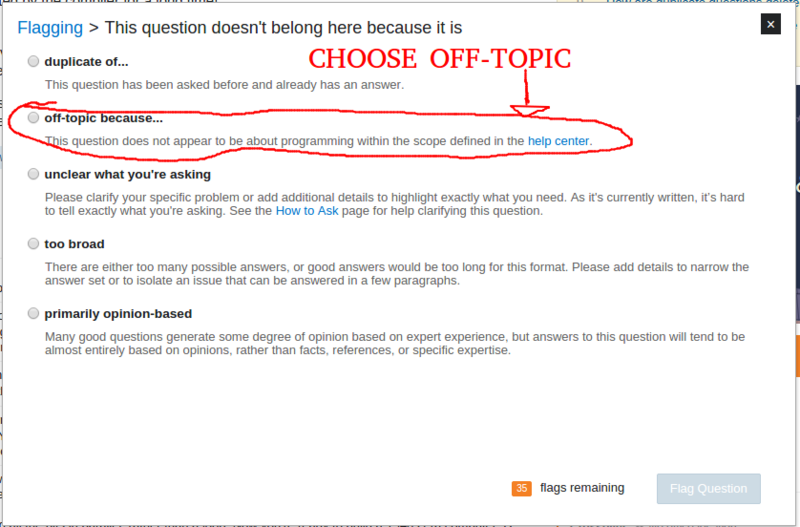 Also, the linked question is how to encourage skip and focuses on problems specifically in the edit review queue. I'm unclear what is the best response during Triage review for this. 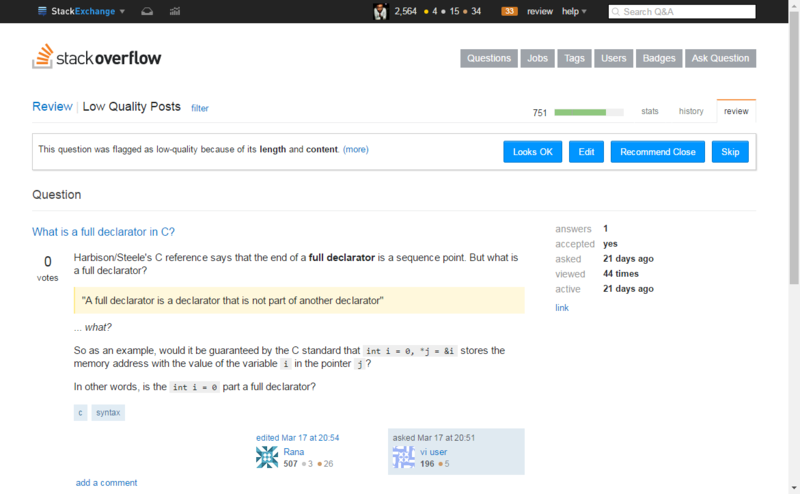 The accepted answers in these Meta questions about flagging-for-closure: What's the appropriate new/current close reason for “How do I do X?” and Closing as Too Broad both state give me teh codez questions are better downvoted and not flagged; although the second question has dissenting answers. The options during triage are only: Looks OK / Requires Editing / Unsalvageable / skip. It is also possible to comment on the question. It is not possible to vote, edit or answer. To me, most of these questions look unsalvageable in practice - they are clearly never going to become good questions. However selecting unsalvageable requires raising a mod flag. Following the guidance above, these questions are best downvoted and not flagged. But the Triage screen does not permit voting on the question. "Looks OK" - clearly not. "Requires Editing" - perhaps this is the best option in an "I think this question is rubbish, but don't see how to flag it" sort of way. However in many cases it looks very implausible that it will ever be edited into a quality question. "Unsalvageable" - would appear to contradict the guidance above. I have flagged as "Too broad" or "Unclear what you are asking", and these clearly apply to some questions, but not all. "Skip" - seems to just be passing the buck to someone else. I've have skipped a lot of obviously bad questions because I didn't understand exactly what to do with them; but this doesn't seem like a solution. "Gimme the code" questions with no problem other than a lack of research/effort belong in the Looks OK pile to sink or swim on the front page. Triage is about filtering in buckets as quickly as possible so others can apply appropriate action. Don't clutter the close queues with questions that they have no close reason for. The lack of a close reason for "lack of effort" is by design as these questions can be valuable and should be handled via downvoting if they are not good questions. Don't get me wrong I was always frustrated in Triage that people weren't flagging half those questions as Unsalvageable. There is a lot of Unsalvageable but some things just don't belong in Unsalvageable. Unsalvageable - Has a matching close reason (debug without MCVE, unclear, too broad, spam, recommend tool, etc.). "Gimme the code" questions often (but not always) are too broad or unclear. Requires Editing - Needs grammar, code formatting, paragraph formatting, etc that can be applied without OP's help. If you can make sense of it in a quick pass but it is poorly worded or constructed, put it here. Looks OK - Does not fit the first two. This includes some bad questions that should die by downvotes. If the only problem is a lack of research/effort, then it needs to be marked Looks OK because downvotes are the appropriate action for that. There is no flag reason for "lack of research/effort." Here's the way I look at it: The Triage queue is different from the Very Low Quality queue. While both are queues intended to determine the quality of posts, in Triage the question quality is judged on a specific metric: whether or not editing, specifically, is warranted to improve a given question. First, look at the question just like you would if you came across it outside of the queue. Is there something so obviously and describably wrong with it that you think it "should not be answered" and warrants a flag? Then use Unsalvageable, and flag it accordingly. If you don't think it warrants a flag, then the question should be whether you think editing, specifically, would fix the shortcomings of the question. In many instances of "give me code" questions, the answer is that it would not. Often, the questions aren't poorly written or formatted - they're just fundamentally the wrong question. No amount of editing is going to fix that, so while it may be a bad question, it's not bad in the way Triage is intended to deal with. If a question is bad but not bad in a flaggable way, and it fits the descriptor "can be found, understood, and answered as-is", then to my eye it's appropriate to mark it Looks OK (specifically in the sense of not needing editing) and trust that it will be dealt with through other channels. Triage isn't the only tool we have to deal with sub-par questions. Out of the 30 questions in the triage queue I review almost every day, more than 10 are "give me teh codez" questions. I simply just flag them as either "unclear" or "too broad". There are two types of "give me teh codez" questions. One which are clear, and the other which are unclear. Questions which ask for straightaway code like this are normally closed as "Too Broad", and sometimes also as "unclear". This is because the question is both unclear and broad. Although, I prefer the too broad option in most cases. In some cases, when the user narrows the question down to the type of code he / she wants, closing as too broad might some times be awkward, but there are such cases. In other cases, where the question is clear, but still "give me the codez", like this, should be closed as too broad. I flagged that as too broad. In cases such as this, you cannot flag it as unclear as it is clear. It is narrowing down things, but still "too broad" is the best flag option over here. "unclear" will be wrong, and has chances of being declined or disputed. I always flag a "give me teh codez" questions, whether I find them in the triage queue, or elsewhere. This is because, downvoting the question does not mean deleting. I know that it will automatically get deleted by Roomba, but not instantly. Till then some user will post an answer to such a question, only for gaining reputation, and even if it is downvoted, it won't get deleted because there is an answer (in many cases). Here is an example in which a user responded to a "give me the codez" question just to gain reputation. So in short, flag a "give me the codez" question either as "unclear" or "too broad", based on the type it is. Not related to the question: Many "give me the codez" questions are tricky. They show the exact output they want, and they look perfect. They even get upvoted, and most reviewers approve them. This question is a pure "give me the codez" question. Although, it even gained two upvotes, and as soon as it gained them, it came out of the triage review queue. Till then two reviewers reviewed it, one of them being me. The other one even approved it as "Looks OK". This question is asking for code in an indirect way. Most reviewers thus approved it. This shows that the reviewers were just passing their time doing robo-reviewing,or even not just paying much attention to the question. And clicking Looks OK whenever the see a question with something that looks like code. Finally I mean to say that do not just think that if a question has code, it has to be ok. Please read the post and then review it. Both of them apply here. The first one clearly means that always think carefully before you press a review button, either to approve or reject. The second quote applies here as most reviewers just have a glance at the question, and if it is properly formatted, long and has code, they just approve it. Which many times turns out to be wrong. I agree the questions are "give me teh codez" and poor questions; my purpose with the comment about a 1 line answer is that this seems to rule out a "too broad" flag - a question which can be answered so concisely can't really be too broad. Which then leads back to my original question - what on earth is the best response. Now this is a very good comment by Stuart Whitehouse. He clearly says that "give me teh codez" questions which can be answered in one-line, cannot be closed as too broad. I agree with this point. So now here is what to do. Now let's see how can we close a "give me teh codez" question, which can be answered in one line, with this reason. Now this clearly applies to "give me teh codez" questions. 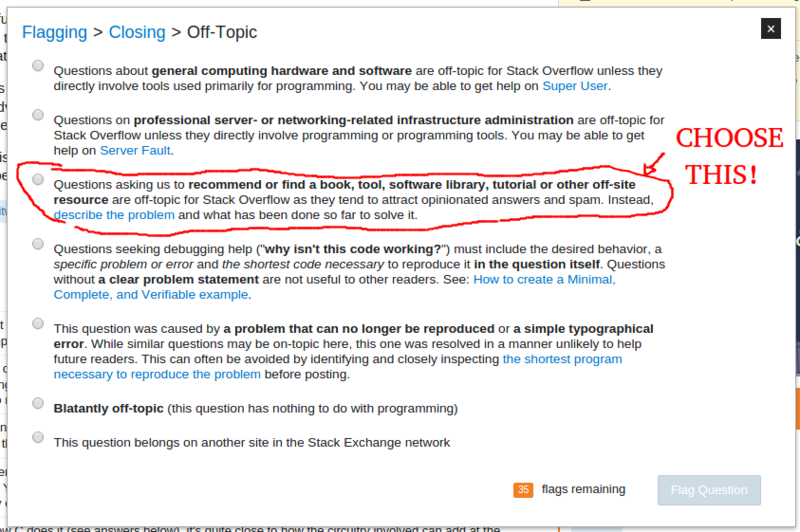 If you see the highlighted word "find", that is what they are exactly asking us to do. They are asking us to give code, which can in another way also mean for us to "find code for the OP". So now, the code giving reason is clearly put in this reason. Instead, describe the problem and what has been done so far to solve it (emphasis mine). This line also clearly applies to "give me teh codez" questions. Questions are known as "give me teh codez" questions when they show no research, are poor quality, and are just asking us for code. This line says that you should tell what has been done till now. Otherwise, it is just another poor research question. And "give me teh codez" questions are always poor research questions. Thus, this line is also appropriate. This line clearly applies to asking code questions. This is because, many users just post answers to gain reputation. There are going to be opinionated answers as there might be hundreds of ways to solve a problem. Now I'll give an example where this reason has been used to close a "give me teh codez" question. This question is closed with the exact same reason. It is just another "give me teh codez" question. I know that this question is not one-liner, but this is the only closed "give me teh codez" question I could find with very few lines. I think this example is sufficient. REQUEST: Please do not delete the linked question in Major Edit 1. Downvote it if you feel so. This is because, in many meta posts I've come across, the linked question is deleted, and it makes a gap in that post. I don't think any bad will come if we just let one question not get deleted. I would just use "Skip" or "Looks OK" and downvote if I were you. Those kinds of question are not off-topic provided they're a) not duplicates and b) sufficiently specific. And if they're well written by a person who's just too lazy to code or do some googling (but otherwise competent to post a question) you just can't close the question anyway. The description of downvote is "Shows poor research effort". That's the problem with such question. Not the answer you're looking for? Browse other questions tagged discussion support review triage . How should questions that look like homework be reviewed? Why am I getting Questions as audits in the Low Quality Posts queue? How to triage “waiting for OP to add content” questions?